A fascinating eyewitness history of the Mormon movement—from its beginnings as a curious, controversial sect to its present-day prosperity. 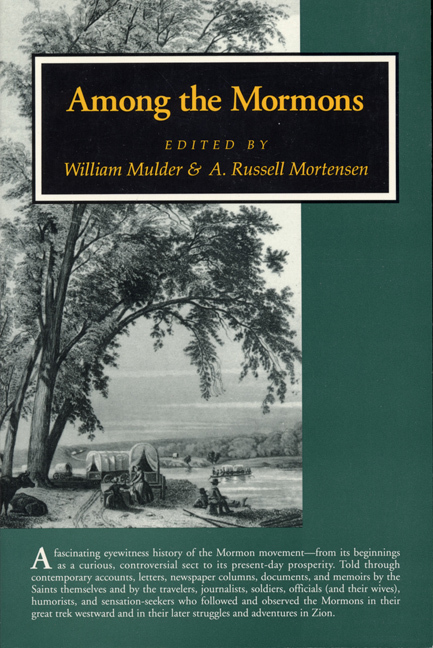 Told through contemporary accounts, letters, newspaper columns, documents, and memoirs by the Saints themselves and by the travelers, journalists, soldiers, officials (and their wives), humorists, and sensation-seekers who followed and observed the Mormons in their great trek westward and in the later struggles and adventures in Zion. William Mulder is author of Homeward to Zion, a story of the Mormon migration from Scandinavia. A. Russell Mortensen was director of the Utah State Historical Society from 1950–1961. A Visit with Amelia Folson Young | A. M.